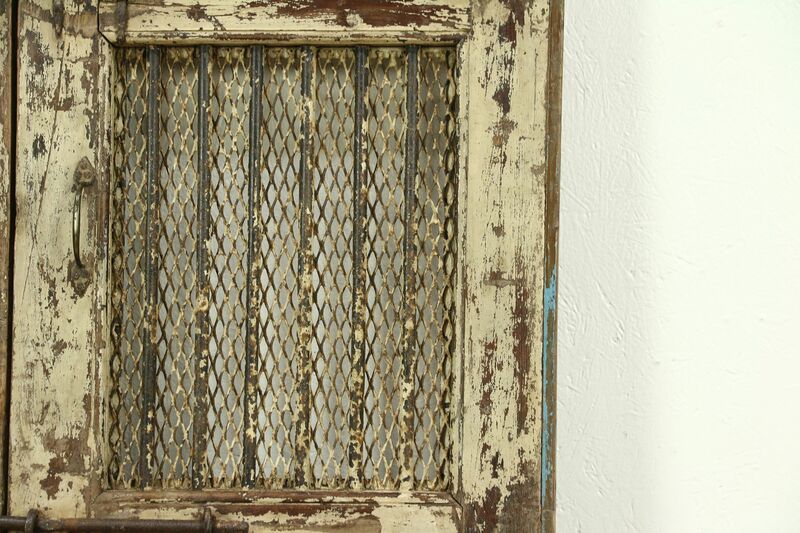 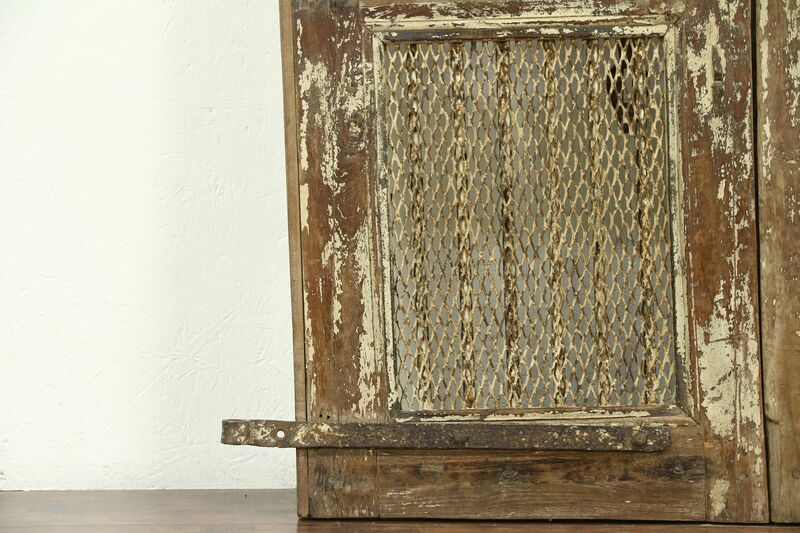 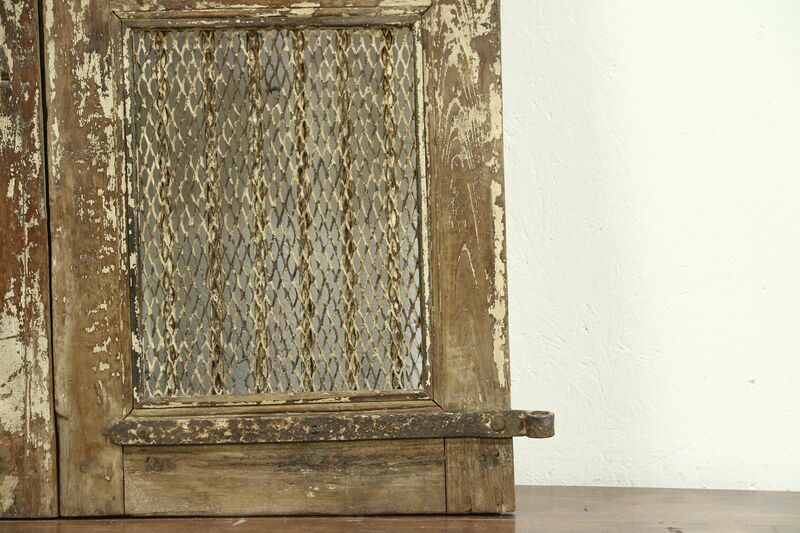 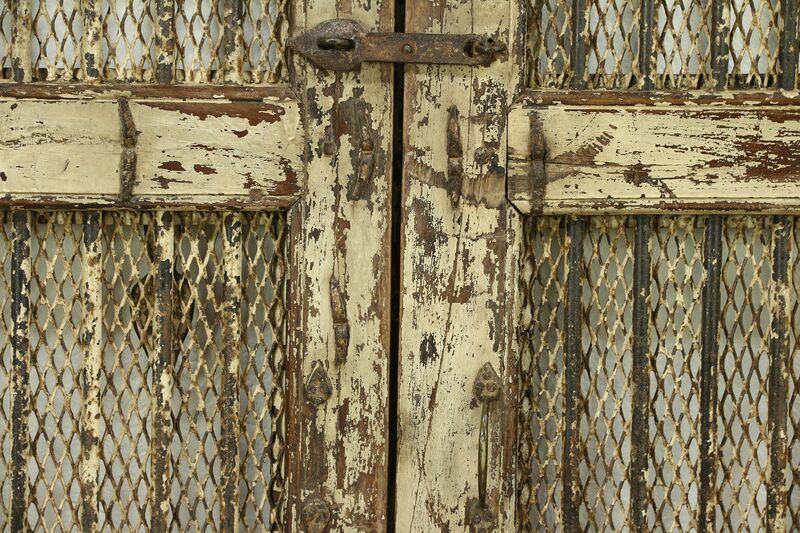 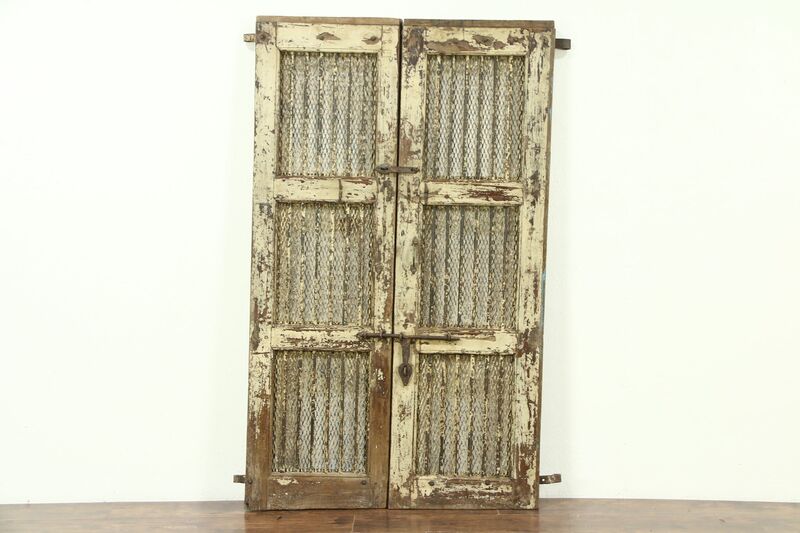 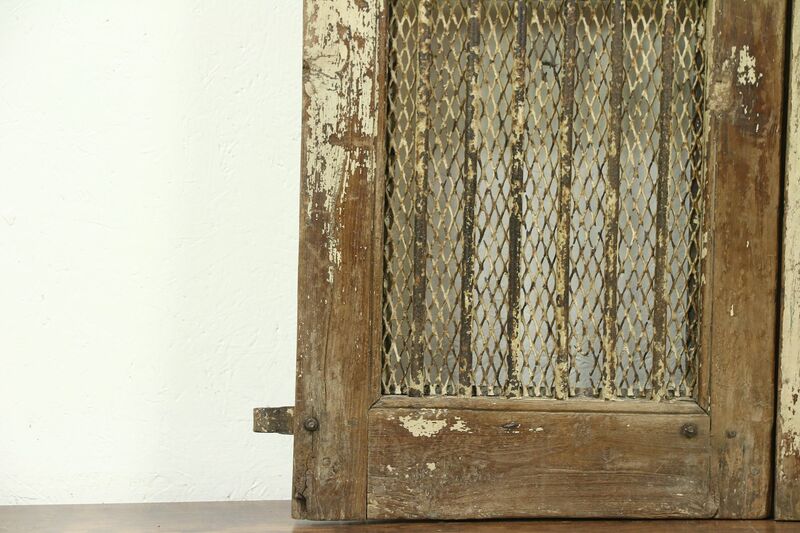 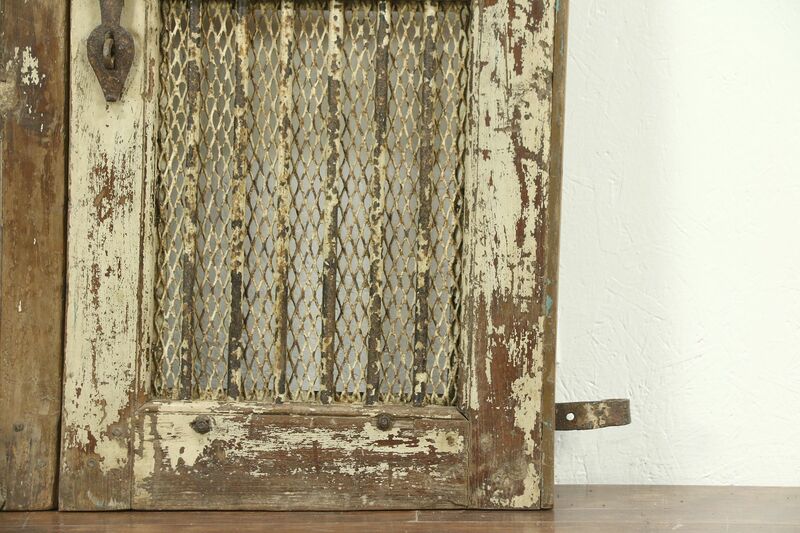 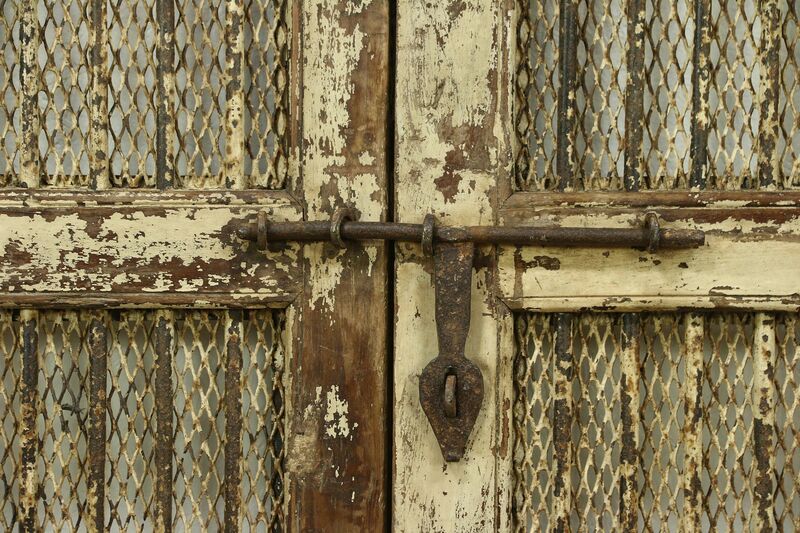 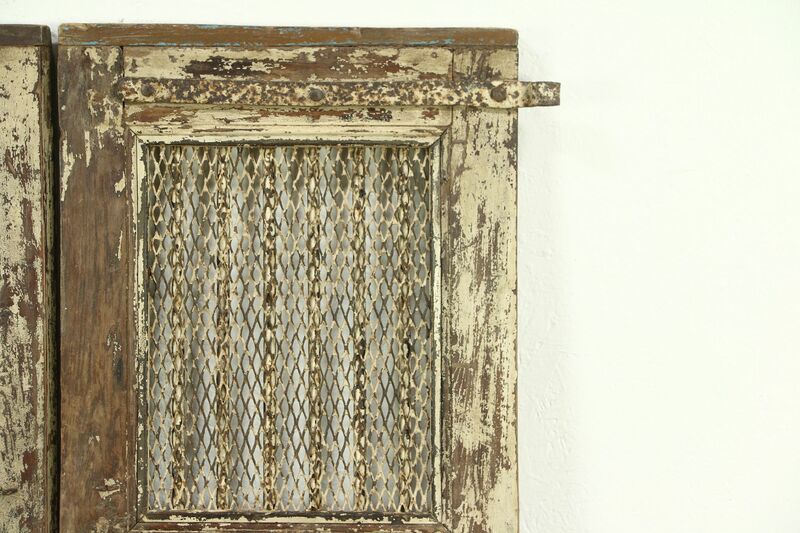 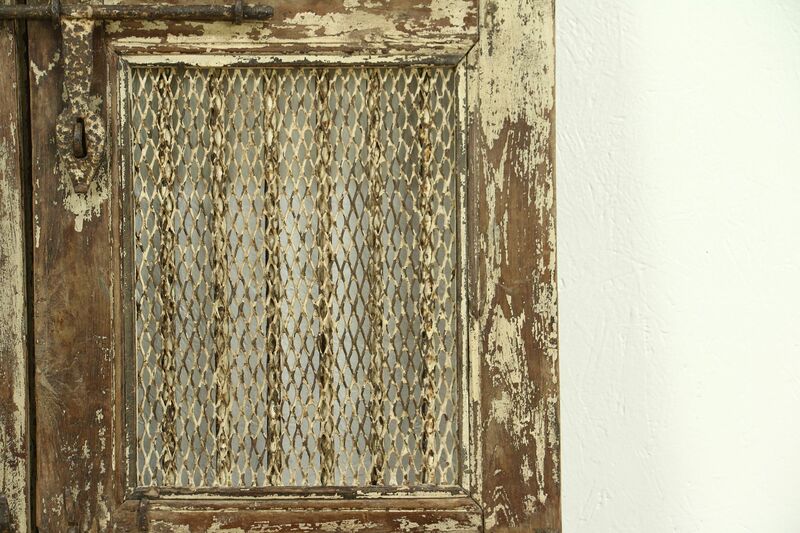 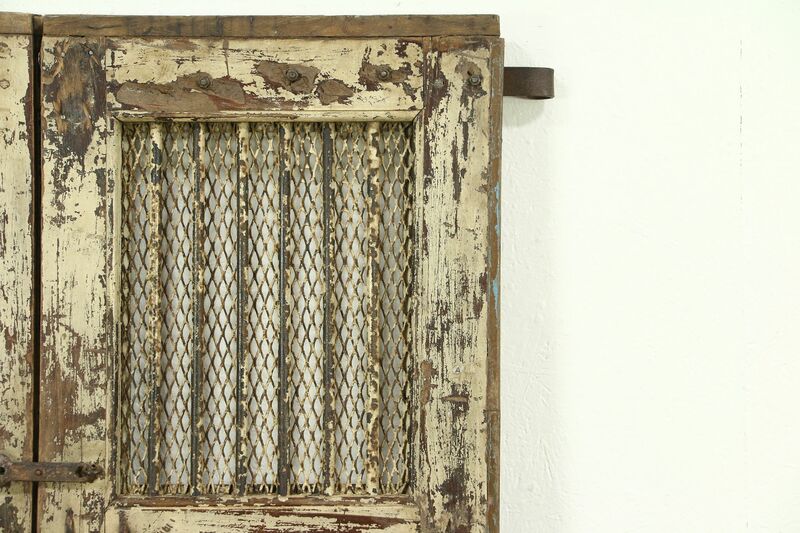 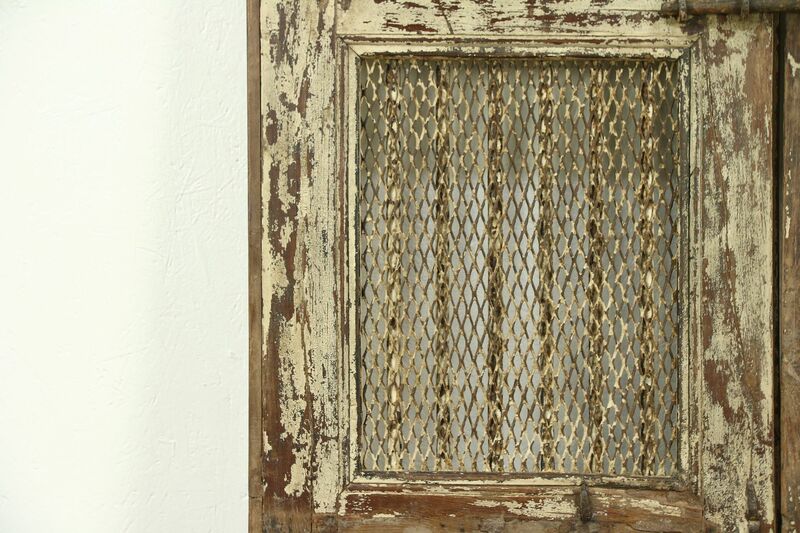 A pair of architectural salvage doors were hand crafted in India about 100 years ago. 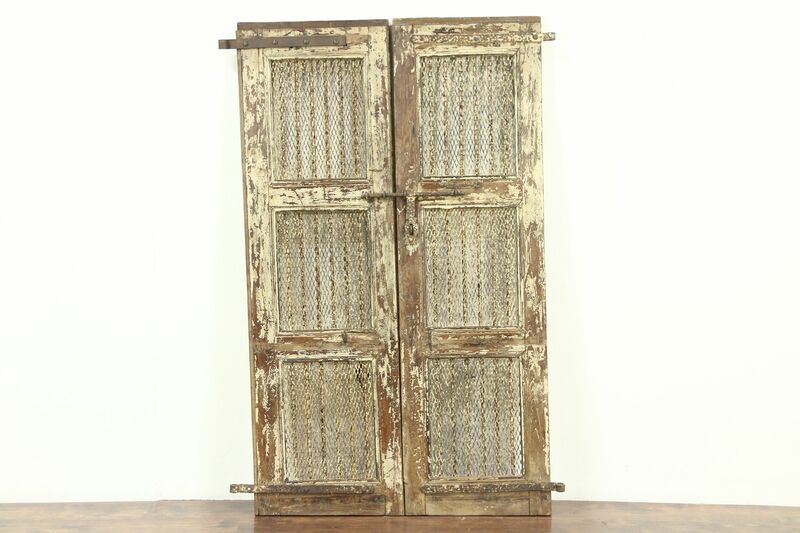 The paint is very worn and there are wrought iron mounts of various ages on this antique pair. 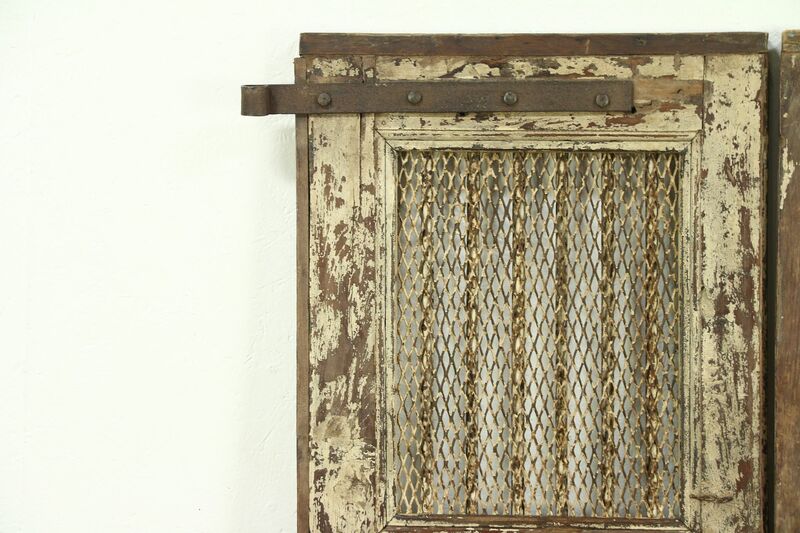 These charming artifacts could be used on a wine cellar or garden, or mounted as wall art. 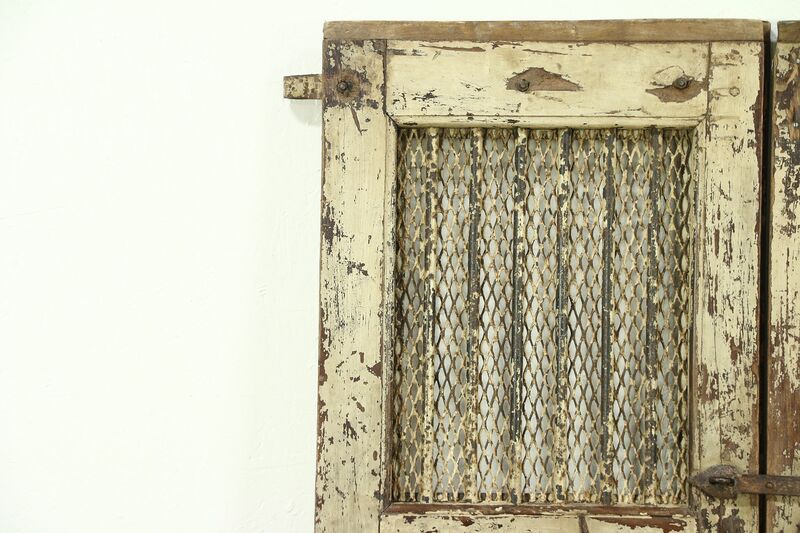 There are various warps and irregularities, see photos. 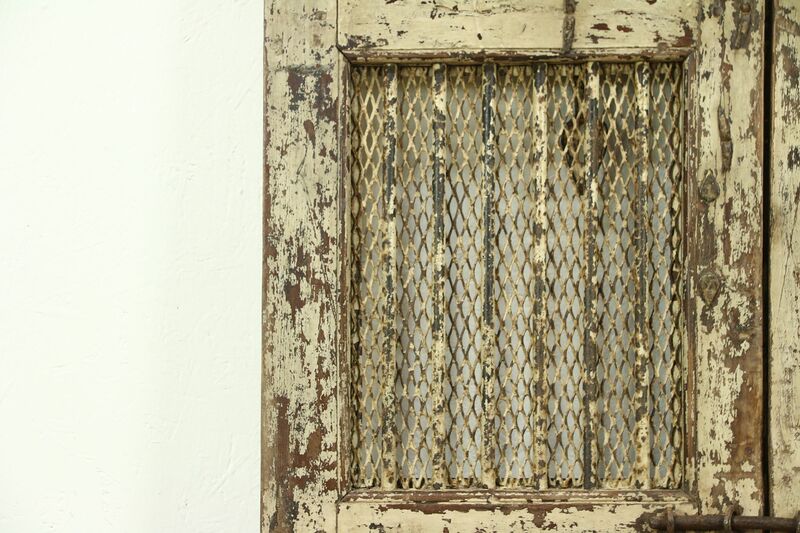 Measurements are 64" tall, each is 20" wide and 1 1/2" thick.